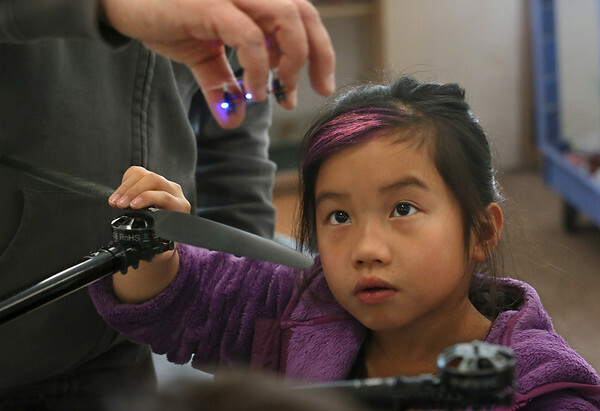 Eight-year-old Lilly Whaley looks at a miniature drone in the hand of John Graham, robotics coordinator with Ocean Alliance, as she turns the propeller of a larger drone during a vacation-week program on whale science at Cape Ann Art Haven in Gloucester. The children learned about whales and the "SnotBot" drones Ocean Alliance uses to study them. Afterwards, they created various art works inspired by what they learned.